View the training via WEBCAST on your device at a place and time convenient to you. 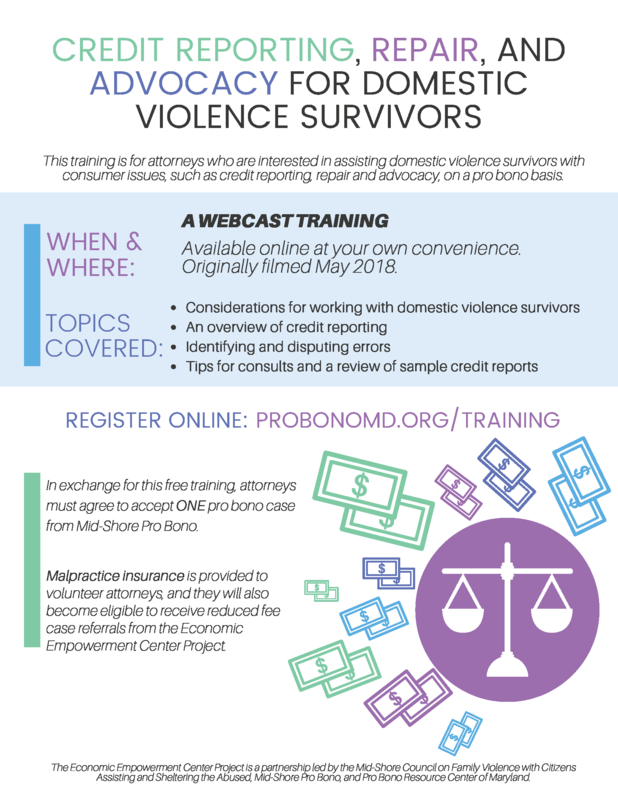 This training is for attorneys who are interested in assisting domestic violence survivors with consumer issues, such as credit reporting, repair and advocacy, on a pro bono basis. The training will cover special considerations for domestic violence survivors/Economic Empowerment Center (EEC) Project clients, a basic overview of credit reporting, identifying and disputing errors, and tips for consults and/or review of sample credit reports. Attorneys must agree to accept 1 pro bono case from Mid-Shore Pro Bono (which covers Kent, Queen Anne’s, Caroline, Talbot, and Dorchester counties) within 1 year of this registration. Malpractice insurance is provided to volunteer attorneys, and they will also become eligible to receive reduced fee case referrals from the EEC Project. Questions? Contact Kiah Pierre, Pro Bono Resource Center of Maryland, at kpierre@probonomd.org or 443-703-3046. 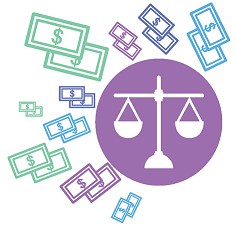 The Economic Empowerment Center Project is a partnership led by the Mid-Shore Council on Family Violence with Citizens Assisting and Sheltering the Abused, Mid-Shore Pro Bono, and Pro Bono Resource Center of Maryland.